Excellent questions. I often ask questions on my attendance sheets in ESL classes that later become conversation topics in class. Why the preview? Students sometimes need time to collect their thoughts to provide more engaging, detailed responses. I like the idea of everyone asking one person about the place they live. If you have enough students, it forces them to think of more creative questions about each other's city. People don't realize how difficult it is to learn another language, until they actually try. Practice makes perfect and these questions are a great start. Thanks! For beginning and low intermediate students, conversation in English can be difficult. And my Asian students are hesitant to talk about themselves. I made up a group of fill-in-the-blank cards, one on each card. I included lines like, "Most people don't know that I....." "If I were president of my country, I would....." :I wish Americans would...." "I'm glad I don't have ...." and those type of statements about food, fears, likes, music, etc. Then the students sit in a circle, go around, and each one reads their card and fills in the blank. Then they switch cards and do it again. At first, they are usually reluctant. But after the third or fourth round, they loosen up and really begin to enjoy themselves. It's a precursor to conversation! Thanks, ESL Teacher. Great conversation starters! Or you could turn the wole approach upside down and have the students come up with topics. This is an interesting resource as it addresses that very concern. Catalyst: A Conversation Taskbook for English Language Learners has an automatic topic generating routine built-in and the topics always resonate with students because it's student-centred: all about them. The main point about Catalyst is not that topic creation and topic substance are automatic or appealing however. Rather generated conversation is used as a means to the acquisition of a whole variety of essential communication tactics. Catalysthas review built around principles of "space repetition" and has instructor-, peer- and self- assessment protocols integrated as well. With all that going on there's not a lot of prep to do. Teachers can focus on facilitating the lesson, not the lesson plan. Catalystis the first ever interactive, "multi-touch" ESL textbook and has just been published for iPad. You can find out more by visiting http://www.speekeezy.ca/ or you can just download the free sample on iTunes here:https://itunes.apple.com/us/book/catalyst-esl-taskbook/id564638682?mt=11. This is clearly what Apple had in mind when they released iBooks Authour in January 2012. Catalyst is also available in traditional paper. I especially love the "I've never..." starter because it is so open ended. This is a great blog. I am a new ESL instructor and I am beginning to explore blogs and other online resources. Any recommendations? Thanks for your time and your lovely blog. Thanks for stopping by and posting. 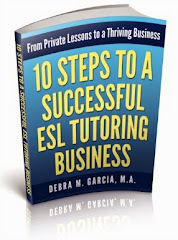 Please visit my website at www.teaching-esl-to-adults.com. 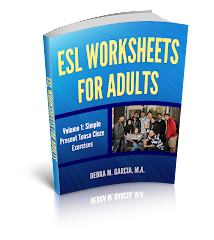 Along with the info you'll find on my site, you'll also find a page called Resources for Teaching Adults ESL.